Well folks, winter is in full swing. It might be a milder winter than most, but that doesn’t stop the cold and flu bugs from coming around with a vengeance. Everywhere I turn there’s sore throats, stomach flu and sniffles! I thought it would be fun to put together a little care package, or “get well gift basket” that you can duplicate easily (and inexpensively) to give to someone you know who is feeling a little under the weather. 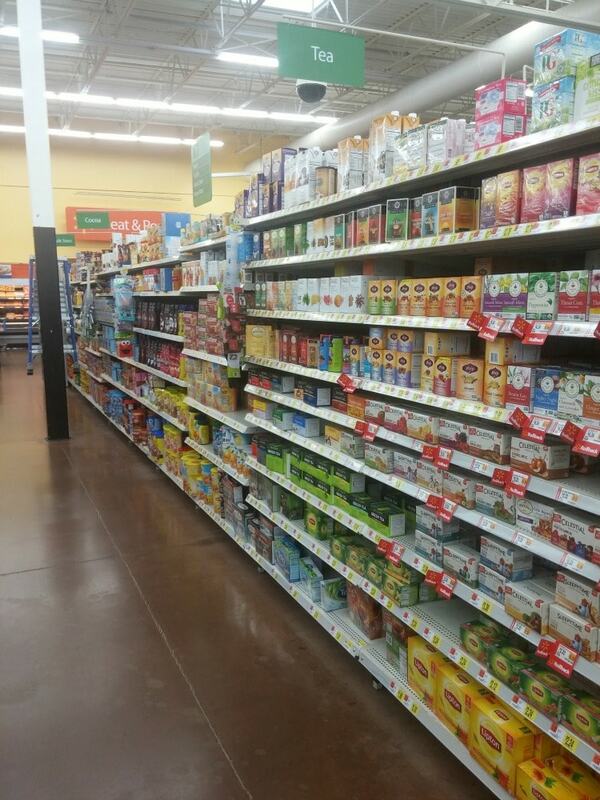 I headed to Walmart to pick up my favorite comfort item: tea! Andrew (aka: Mr. Frugality) loves tea even when he’s not sick, but there’s something about lemon tea that is just so cozy and soothing when you’re not feeling well. I grabbed some Bigelow teas. 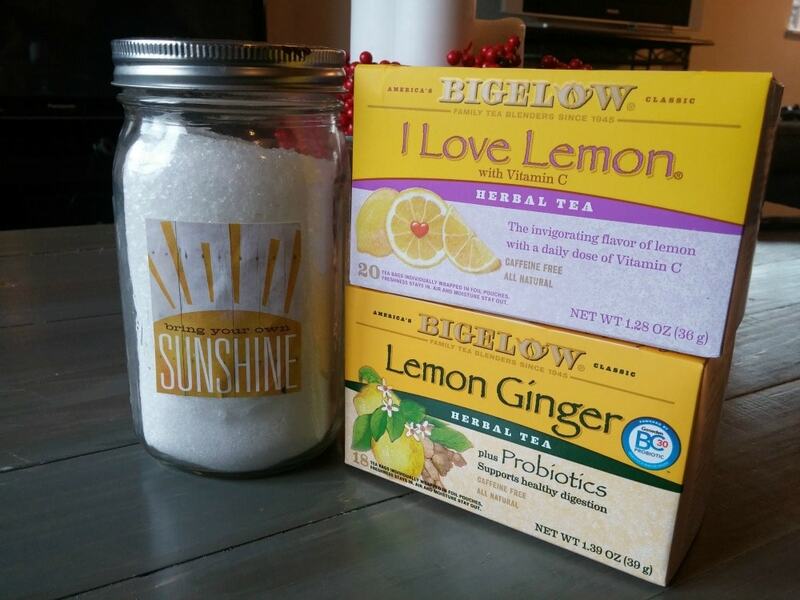 I chose I Love Lemon (great for sore throats) and Lemon Ginger (with probiotics! Perfect for any upset tummies). In addition to tea, you can customize your basket any way you like based on the recipient’s preferences, as well as their ailment! I stuck with a basic cold/flu get well basket, but you could branch out to things like stomach flu, injuries, or even serious illnesses like cancer. When my grandmother was going through chemo, she loved ginger candies to help with the nausea. Believe me, your recipient will love that you put the time and thought into this little basket and appreciate the little comforts that it offers! 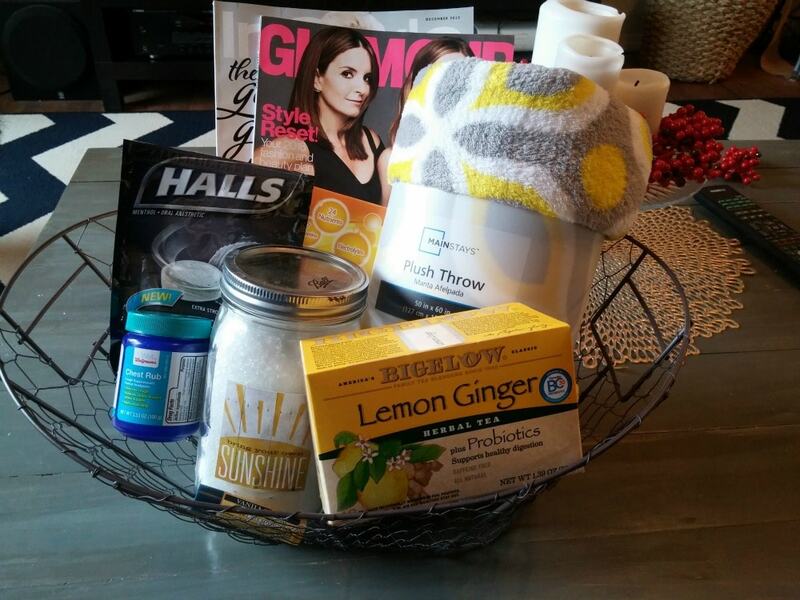 My get well basket included cough drops, magazines (being couch-bound can be boring! ), a cozy fleecy blanket (under $5 at Walmart! And look how cute it is!?) a tube of lip balm, mentholated chest rub, vitamin C powder and a soothing menthol bath soak. These are all things I love to have on hand before cold and flu season strikes. No one wants to run to the store or pharmacy when they feel crappy! For the bath soak, simply take Epsom salt and mix in your choice of essential oils. Some good ones for cold and flu relief are eucalyptus, menthol, rosemary, oregano or peppermint. Then package in an airtight container or decorative jar. Easy and soooo delightfully soothing. This is a simple gift you can put together in a jiffy and for just a few bucks-but the impact is huge! Its perfect for a friend, relative or coworker who could use a little pick me up. Lots of folks like to feel cared for when they aren’t feeling well, and this package is just the ticket. Doesn’t this look cozy? 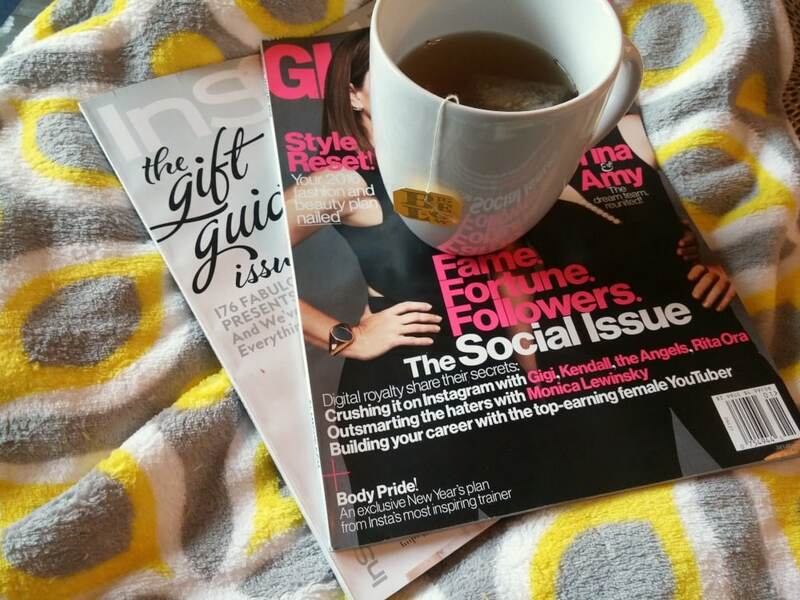 Seriously I don’t even have a cold…but I might consider faking one if it meant I got to snuggle under this blanket with these magazines and a cuppa lemon tea. You can too. It will be our little secret. 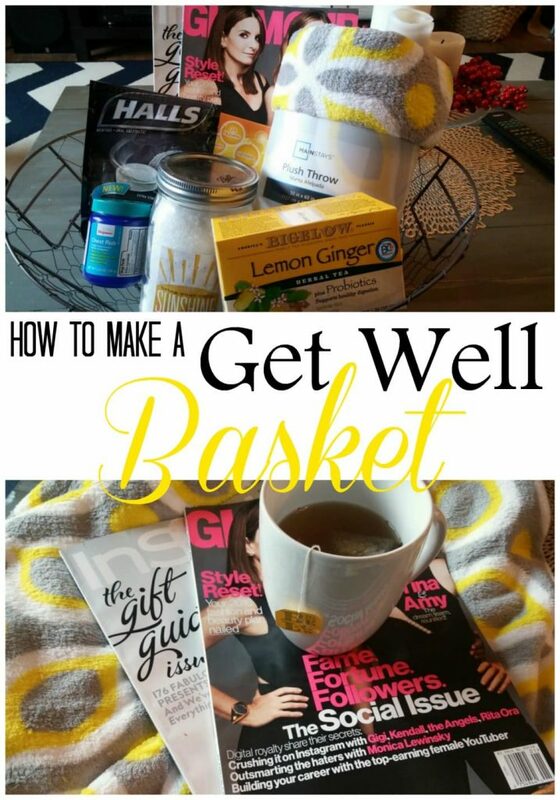 What would you love in your get well basket? This is a really great idea that honestly I never would have thought of, and so much better and more effective than just a get well card! 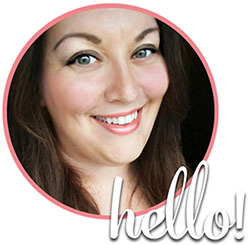 Fabulous suggestions that will surely make a sickie feel so loved! Thank you!